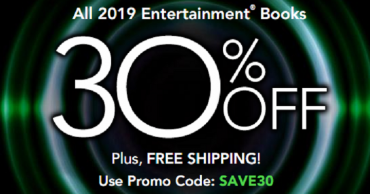 2019 Entertainment Books are just $10.00! Get vacation ready! Free shipping! 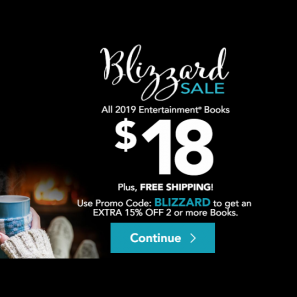 2019 Entertainment Books Just $10.40! 2019 Entertainment Coupon Books Just $15.00 SHIPPED!! 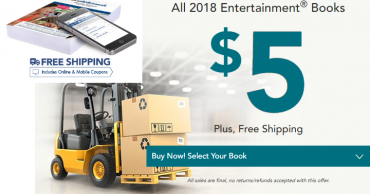 2019 Entertainment Coupon Books Just $15.30 SHIPPED!! 2019 Entertainment Coupon Books Just $16.40!! 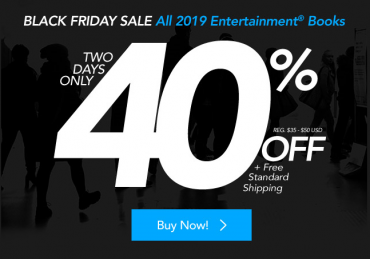 2019 Entertainment Books 40% Off + FREE Shipping! 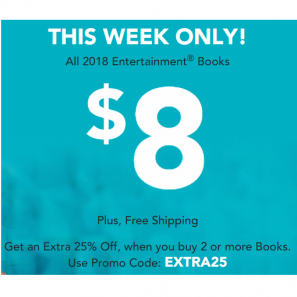 All 2018 Entertainment Books Only $5.00 Shipped! They are Selling Out Fast! Entertainment Book Sale – Books Only $6.00 Each SHIPPED!